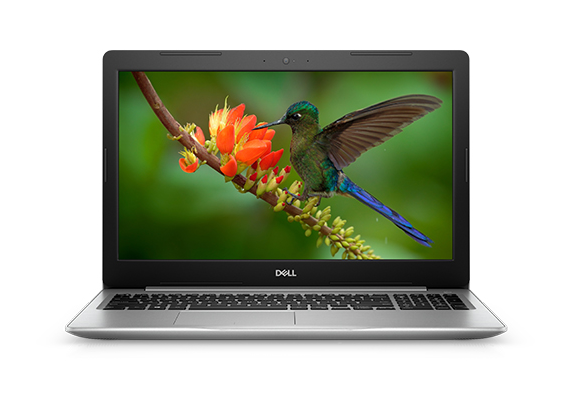 Dell joins the AMD mobile APU bandwagon with two Ryzen 5 2500U and two Ryzen 3 2200U notebook models. These come with 17-inch FHD screens, pre-installed Windows 10, fingerprint sensor and sub-US$1,000 prices. AMD’s Ryzen 5 and 3 mobile APUs received encouraging reviews through the last few months, but very few OEMs offer these processors in laptop solutions. Up until now, only Acer and HP offered laptops powered by AMD’s mobile APUs, but it looks like Dell wants its share of the market, as it quietly released four new models featuring the Ryzen 5 2500U and Ryzen 3 2200U chips with integrated Vega graphics. 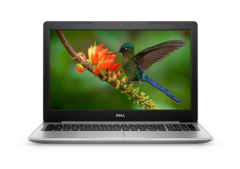 Dell’s four new models (two for each APU) are part of the Inspiron 17 5000 series that come with a platinum silver finish, 17.3-inch FHD anti-glare display and DVD optical drives. The port configuration is the same across all four new models: 2 x USB 3.1, one USB 2.0, an HDMI 1.4b connector and an SD card reader. Common specs also include: Dual Band Wi-Fi + Bluetooth 4.1, Windows Hello-compatible fingerprint reader, spill-resistant keyboards, 42 WHr batteries and a pre-installed Windows 10 Home 64-bit OS. The only important differences among the four models (apart from the CPUs and the Vega 8/3 iGPUs) are presented by the RAM and storage configurations. The Ryzen 3 2200U laptops only come with 8 and 12 GB DDR4-2400 RAM (upgradeable to 16 GB), while both Ryzen 5 2500U models get 16 GB of RAM (upgradeable to 32 GB). Storage-wise, the Ryzen 3 2200U laptops integrate 1 TB 5400 rpm HDDs, while the Ryzen 5 2500U variants feature 2 TB 5400 rpm HDDs. As far as prices are concerned, the Ryzen 3 models cost US$679.99/US$729.99 and the Ryzen 5 ones are available for US$899.99/US$999.99.